The number of people under "active monitoring" for Ebola symptoms has increased from 117 on Monday to 357 people Wednesday, health officials said. 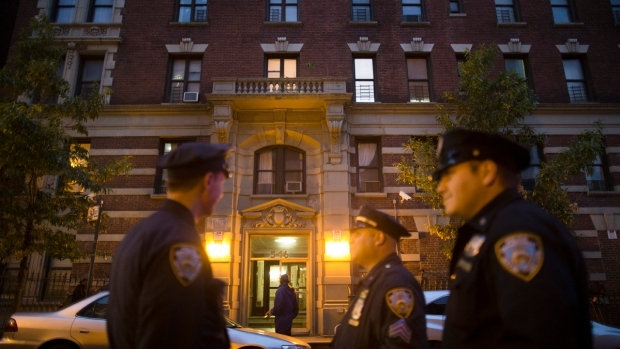 Others being monitored include the staff caring for Dr. Craig Spencer, the physician being treated for Ebola at Bellevue Hospital, the lab workers who conducted his blood tests and the FDNY EMTs who transported the doctor. A second person under quarantine for coming into contact with Spencer will now be also subject to active monitoring because "the individual poses no public threat and is showing no symptoms," health officials said. The person's movements will not be restricted, but the person will be assessed twice a day by city health workers. His fiancee, Morgan Dixon, was released from the hospital days ago and returned to the couple's Hamilton Heights apartment. She had not developed any sign of the illness, and she was to remain under quarantine at home. Authorities also said Spencer's condition also continues to improve. The latest good news about Spencer comes just four days after health officials upgraded his condition from "serious but stable" to "stable." Spencer received a plasma transfusion from the second American Ebola patient, Nancy Writebol, on Oct. 25, according to SIM, the Christian organization that Writebol worked with before she was admitted to Emory University Hospital in August. Authorities have said Spencer was awake, communicating and undergoing plasma and antiviral therapies, treatments that have been used to treat Ebola patients at Emory University Hospital in Atlanta and at the Nebraska Medical Center.